I came late to the ramen party. Before I had my first taste in 2015, ramen was a noodly mystery to me – something I saw on American TV shows where packet versions were used to signify someone who was broke. I didn’t even know where it came from (Japan, by the way) – I just thought it was the US equivalent of a Pot Noodle. Perhaps it’s fitting, then, that it was American friends who took us for our first proper ramen experience, to a place called Tajima Ramen House in San Diego. There was a queue outside the door and a wait list, which tells you how popular the place was. And for good reason – it has certainly set the bar extremely high. On recommendation, we ordered the tonkotsu broth with pork belly and black garlic oil. The tonkotsu was milky white from all the boiled down fat and pork marrow, and as soon as I slurped down the first messy mouthful of noodles, broth and pork, I instantly understood why ramen is the perfect comfort food. 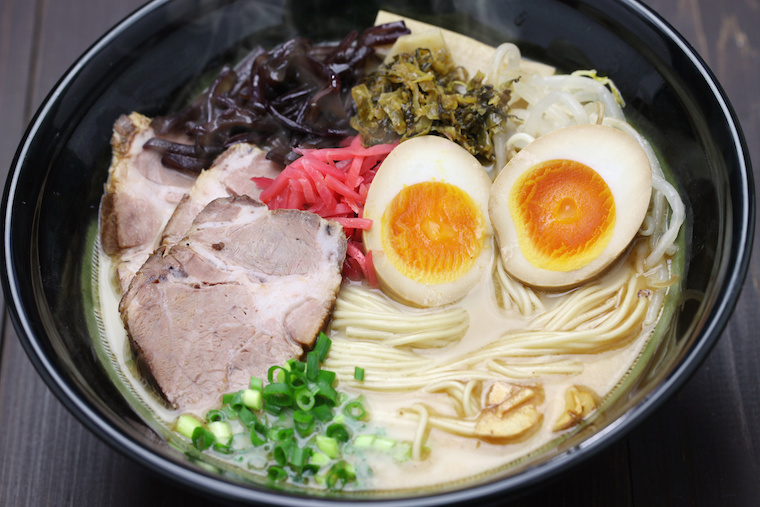 The tonkotsu version, at least, meets all the comfort food requirements. Let’s start with the lard factor. Fat is an essential element of comfort food and the tonkotsu broth has it in spades (or globules) thanks to all that lovely boiled down animal. It’s almost creamy with fat, and every spoonful tastes decadent. Then you’ve got those chin-slapping noodles representing for the carb element – something, I believe, that’s legally required of all comfort food. And the whole thing is so warming and satisfying, it’s like having a hot bath that’s INSIDE YOU, but without the need to get naked. Or maybe you do get naked when you eat ramen. Whatever blows your hair back, buddy. I have to admit, I’m craving those noodles right now. 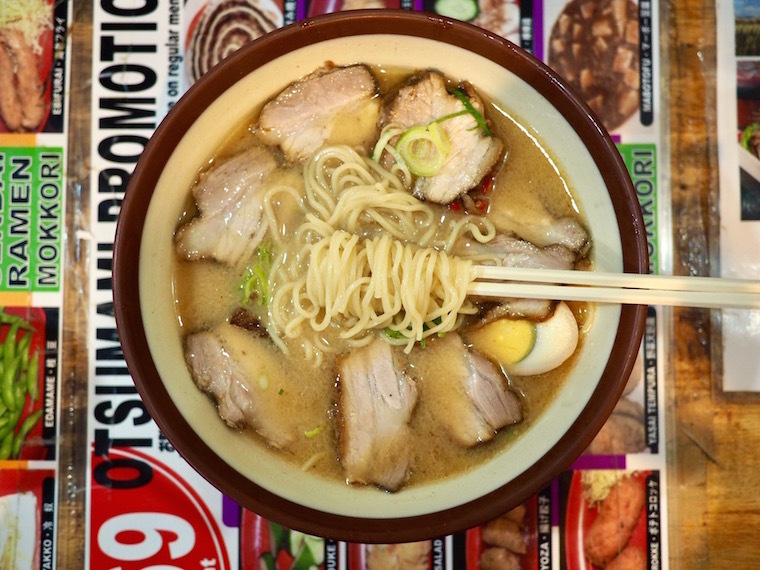 It’s so cold and dark in England in January, and although we Brits could write the book on comfort food, ramen hits a certain spot no other dish can touch. The only problem is, I’m yet to find decent ramen in my neck of the woods. So although I’m resigning myself to a ramen-less existence for now, if you’re close to a good one, please go forth and ramen on my behalf. And then tell me where it is so I can book a flight there ASAP. What’s your favourite comfort food? And where can I get it? I need some inspiration to get me through the winter!